When it comes to converting PDFs to a fillable form, the first tool you may consider is Adobe Acrobat. However, this method can be complicated for beginners and may lead to problems or challenges. 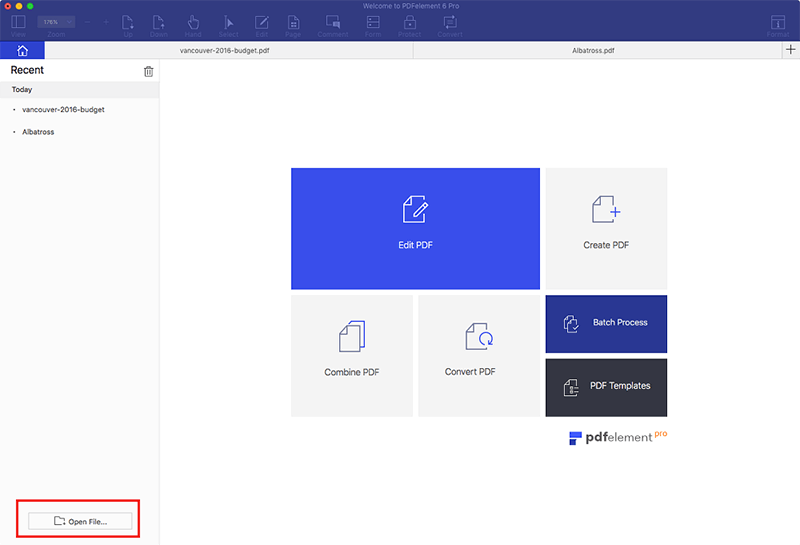 PDFelement Pro is the best alternative solution for you to convert PDF to fillable form on both Windows and Mac systems. Here, we cover 4 easy methods to convert PDFs to fillable forms. 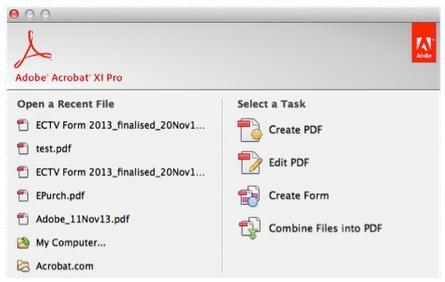 To convert PDF to fillable form, you can use PDFelement ProPDFelement Pro. This professional PDF form creator provides an easy way to convert PDF to a fillable form and to other popular file formats according to your needs. Just follow the 3 steps below to convert PDF to fillable form on Mac (macOS 10.14 Mojave). Launch the program. In the main interface, click "Open File", and you will get a pop-up dialog box. Now browse for the PDF form you want to import into the program. The form will now be opened. For interactive PDF forms: If you open an interactive PDF form, the file will be automatically recognized and the form fields will be highlighted. You can simply click on any field to fill out or change the information. For non-interactive PDF forms: If you open a non-interactive PDF form, you can go to the "Comment" tab and click on the "Text Comment" button in order to input text into the form. Note: This powerful PDF editor also allows you to export or import PDF form data to save PDF form data or fill PDF forms. 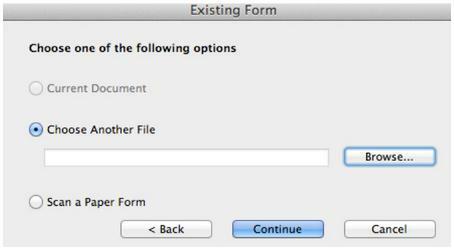 If you want to make a personalized PDF form, go to "File > Create > Blank Document" to create a new PDF file. Then click the "Form" tab to place text fields and buttons according to your needs. PDFelement ProPDFelement Pro enables you to easily edit any data in a PDF form without converting it to other formats. 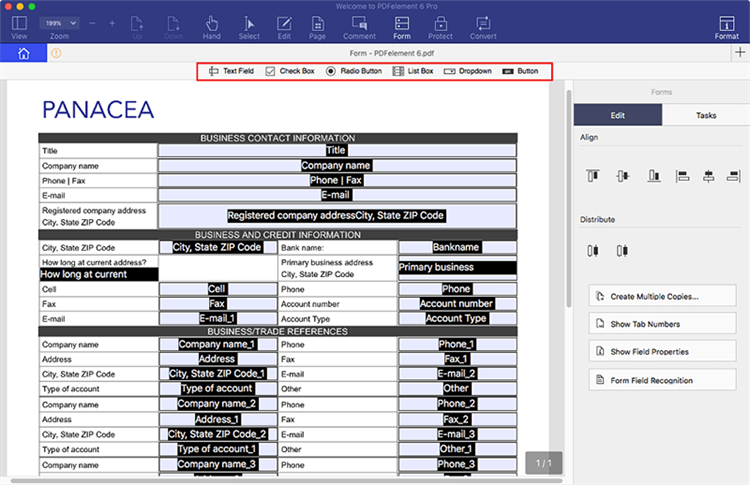 With this fabulous program, you can even create PDF forms from multiple templates and add new fields. You can place multiple fields anywhere within your PDF. This PDF Editor also has other powerful editing features that can fully meet your needs. You can also use it to convert PDF to Word and other popular file formats without losing original layout and quality. Easily convert PDF to Word, Excel and other formats. Advanced OCR technology makes it easy to convert scanned PDF files. 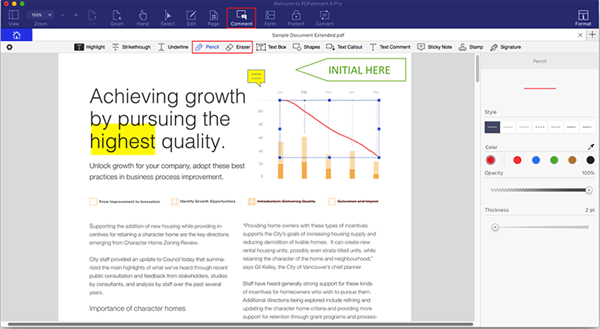 Built-in editing tools allow you to edit PDF text, images, and pages with ease. Create PDF from other formats and create fillable PDF forms easily. 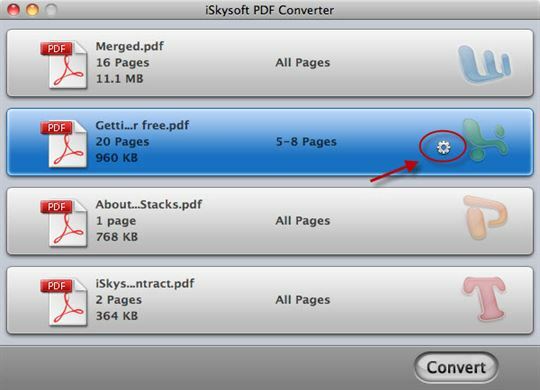 iSkysoft PDF Converter for Mac (iSkysoft PDF Converter for Windows) is an ideal PDF to fillable form Converter. 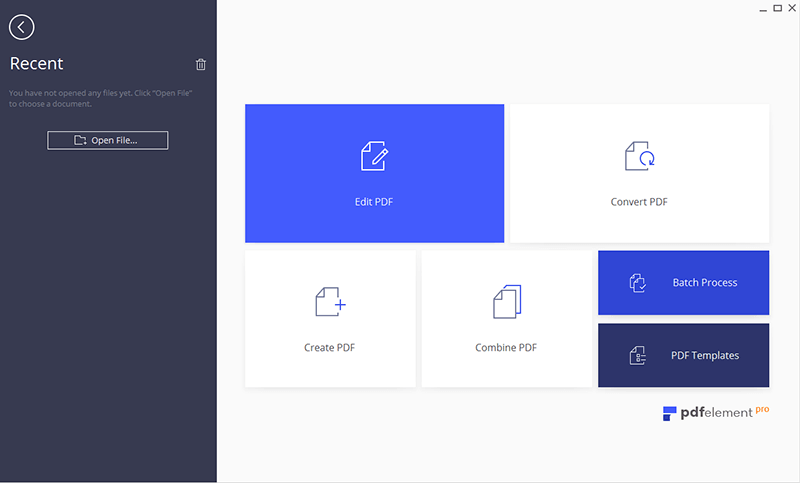 Also, the Pro version of iSkysoft PDF Converter comes with all the features you need to convert scanned and native PDF files to Excel, Word, EPUB, PowerPoint and many other formats. In addition to that, it is designed with advanced OCR technology that can convert scanned files to editable text. It also supports 17 OCR languages. Below is the detailed guide to convert your PDFs to a fillable form by converting the PDF file to Word format first. 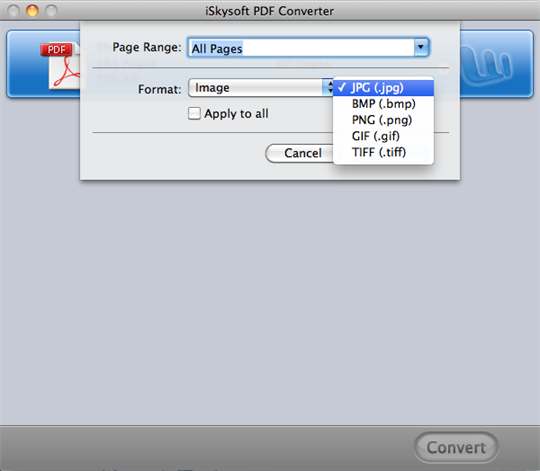 Run the iSkysoft PDF Converter and import your PDF Files into the program. You may drag and drop the several PDF files into the interface of the program. Click the button to set the output format. Note: You may choose to convert a specific page range from the "Page Range" menu. Choose "Word Doc" as the output format prior to converting the PDF to Word on your iMac or Macbook. Click "OK" to confirm the output format setting. All you have to do is click the "Convert" button to start the process. Once this is done, you can open the file to view your finished document. If you use a PDF file rather than a Word document or some other file type, you will get to preserve certain features such as the graphics, fonts and other formatting. However, you might want to make changes to your PDF such as allowing users to fill in certain information or data on a form from their device. Some PDF files have forms which are encrypted from pasting, printing and copying, including important bills, invoices, and contracts. This means that you are not able to edit or print them on paper in order to fill in certain information. Furthermore, some PDF forms are scanned files that will not allow you to add information from any computer. To be able to convert your PDFs into a fillable form using Adobe Acrobat, follow the steps below. Step 1. First, you will need to open Adobe Acrobat. After that, click the Tools pane at the top right corner of the program. 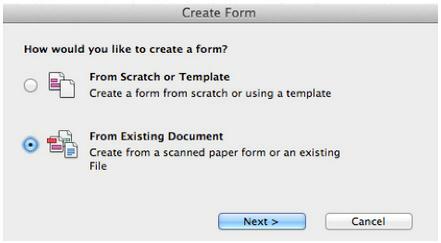 After that, open the Forms panel and then click create. Once you have made your selection, click Next to proceed. Step 3. In the next window, you will need to select one of the following options. - Current Document to convert the current open PDF file into an interactive form that you can edit. - Choose Another File to convert a document that you have saved on your computer into an interactive PDF form. - Scan a Paper Form to scan a paper from your printer and then convert it into an interactive PDF form. Step 4. Once you have specified your selection, click Continue. Adobe Acrobat is going to create the form accordingly and then open it in form editing mode. 1. Adobe Converter is very expensive as compared to most other converters available on the market. 2. It can be difficult to use. 3. Your PC should be configured correctly to use the program properly. Step 1. Visit www.pdffiller.com. Look for the option that says "Browse your Documents" and then click on it. Step 2. Once you click on "Browse your Documents", you will be directed to your computer to choose the PDF file that you want to convert to a fillable form and upload it. Wait for the file to load. Step 3. When the PDF file finishes loading, you should see “Done” in the top-right part of the window that will come up. You will also see a lot of editing features that you can use to fill out your PDF document. Edit the document accordingly and then save it. 1. You need an internet connection. 2. The resolution is small.